As the name implies, the root chakra, or the first chakra, is your foundation. Also known as the base chakra, the root chakra is the first of sevenenergy centers within our bodies, and is located at the base of the spine. 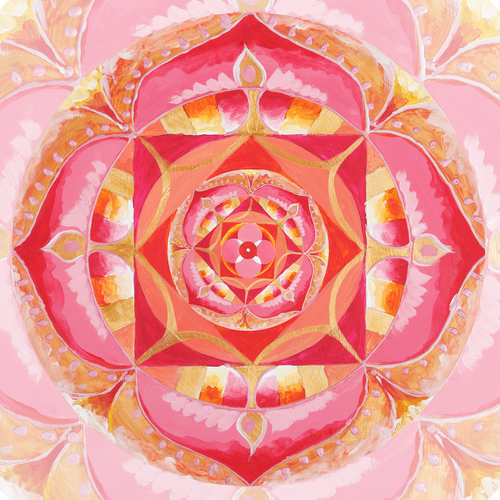 The Sanskrit name for the root chakra is “Muladhara”, which means ‘foundation’. A solid foundation or root system is essential for anything: buildings, plants, goals, learning and mastery – it grounds you, and so having an open root chakra will allow the rest of your life to unfold and blossom as it should. This chakra gives you vitality, courage, confidence, willpower and a sense of adventure or a pioneering spirit. This is the chakra that drives your most basic primal needs: food, shelter and connection to others. It drives your need to create a safe, comfortable home environment; be financially secure; and have loving relationships. An open root chakra gives you the ability to plan for the future instead of simply reacting impulsively to circumstances – this is especially relevant when talking about financial issues. Your Muladhara emanates a deep scarlet color which connects you to the earth. The energy of the root chakra is channeled through the adrenal gland above the kidneys, which enables you to respond quickly and activates your instinctual ‘fight or flight’ reactions. Are your chakras opened or closed? What Happens When Your Root Chakra is Closed? Today, survival is often financially driven. If you are finding it difficult to get by and you struggle under constant financial pressure, your root chakra may be blocked. When you struggle financially, you are under tremendous stress and this stress taxes your adrenal glands, leading to weight gain, depression, low energy, and low self-esteem. A lack of money can damage your sense of security, and burdens you with guilt and shame. People with closed root chakras often find that this situation continually perpetuates itself. Even if your finances are in order, a closed root chakra can manifest in unsatisfactory relationships, a chaotic home environment, or a profound lack of the courage and self-confidence necessary to pursue your dreams. Since the root chakra drives our basic needs of sustenance and connection to others, you may experience problems like poor body image and unsatisfactory relationships. You may struggle to separate your own difficulties with those of others, and occasionally find yourself carrying burdens which are not yours to carry. The result of a blocked root chakra can be diminished self-confidence, guilt, hopelessness, overwhelm, resentment and depression as well as physical problems such as adrenal fatigue, Epstein-Barr virus, Crohn’s disease and cancer. Healing a blocked root chakra begins with connecting to the earth. Go outside! Be in Nature. Get some sunshine and fresh air. Connect with your foundation, Mother Earth! 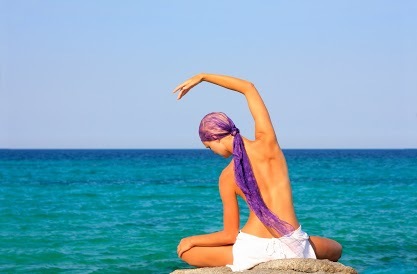 Healing activities such as meditation have a profound effect on those looking to balance their chakras. 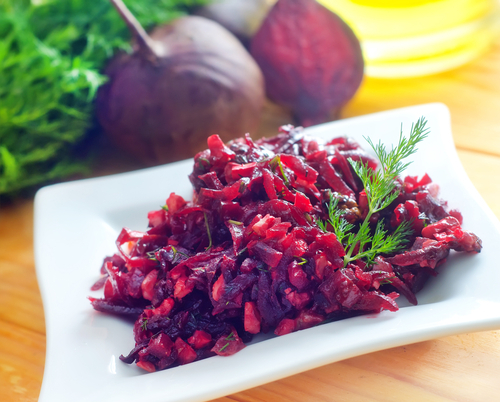 Eat red foods that come from the earth such as beets, sweet potatoes and other root vegetables; season your food with red spices like cayenne, paprika and chili powder. Foods with a deep red color such as beets, peppers, and sweet potatoes can help with balancing your root chakras. Red is the color of courage. Whenever you feel weak or incapable, wear red! Introduce reds into your home environment. To open the root chakra further, really appreciate the world around you. Connect to it in any way you can. See the abundance, beauty and miracles in everything. Feel a connection between yourself and the earth and all life on it. Soon, the crimson energy of the root chakra will be pulsing beautifully once more! What is your life like with a healthy, open root chakra? You are not merely surviving – you are thriving. You have a healthy relationship with yourself and other people and feel a deeper connection to earth and its inhabitants. You meet your basic needs and instinctual urges in a wise, balanced way with one eye toward the future, and financial problems sort themselves out. You may exhibit a strong need to protect and care for the earth.